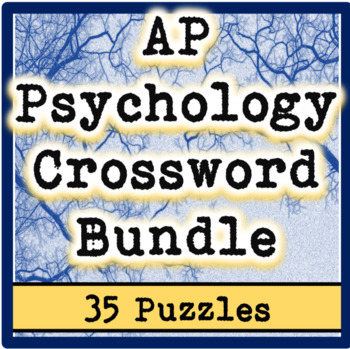 These high school (AP or general) psychology crosswords make wonderful vocabulary reviews for students. With 35 puzzles, this bundle gets more bang for your buck, and highlights vocabulary that is necessary for AP success! I put a great deal of effort and pride into each of my products. Follow my store for product updates and freebies, and feel free to write a review of this product!